Finding the right match–in investors, employees, board members, and customers–is key to every phase in building your company. Excellent, ethical, and enduring organizations do not magically appear without conscious and persistent effort–you need the right fit. Socrates’ admonition to “know thyself ” is relevant to all leaders, but perhaps especially so to entrepreneurs. Founders are wise to reflect inward before building outward: What are your purpose and values? What is your vision for your life? What are the key goals in the different areas of your life? What is your tolerance for risk? What are you willing to give up to make your venture succeed? What kind of culture do you want to establish? These questions will be answered, by either conscious choice or default. Excellent, ethical, and enduring organizations do not magically appear without conscious and persistent effort–you need the right fit. Recruiting is tough for startups because they have very little that is tangible at the outset, and they lack brand recognition. Founders must explain their vision and convince talented people to take a leap of faith, forgoing higher salaries and greater security elsewhere. They have to believe. Complementarity. Entrepreneurs must go beyond recruiting people with head and heart. They need to recruit people whose skills augment their own. Technical founders who are weak in finance or sales, for example, should not just hire other techies. It is essential to have a detail-oriented person on the team—a point overlooked in many new ventures. Entrepreneurs should hire for the skills lacking on the team, while ensuring that new recruits share the dream, have integrity, and fit the culture. Entrepreneurs must build a complementary team, with people who enhance one another’s capabilities, making a more balanced or complete whole. Recruiting is not an exact science. Even the best organizations, without the time and resource constraints of a startup, make mistakes. Candidates put on their interview faces, sometimes feigning interest or exaggerating expertise. Bad hires are costly to startups, draining energy, momentum, and money. Some walk away with valuable intellectual property, trade secrets, or proprietary ideas. If there is no alternative position in the venture for a mistaken hire, the entrepreneur must face up to it quickly and part company. The startup has no time to reprogram people. Entrepreneurs should probe potential stakeholders carefully for fit. Established organizations already have a set of founders, board members, investors, customers, and vendors. 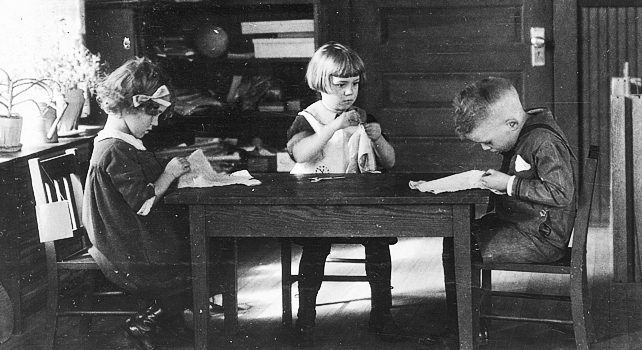 The entrepreneur must decide who should be in each stakeholder set from the outset. These decisions can be crucial to future success. Founders: Most people think of a solo entrepreneur when they think about startups, but often it is a partnership or founding team that launches ventures, as it was at DropBox, Google, H&M, and countless others. Some entrepreneurs spend hundreds of hours on market research and prototyping but jump into partnerships with hardly any thought or scrutiny. They rely only on gut feeling, or they choose to work with their buddies or the first people who come along. Effectively, they are jumping into a marriage without dating. Instead, potential partners should ask hard questions: Is there a fundamental fit among the founding partners? Do they like, admire, and respect each other? Do they share a similar vision for the enterprise? Do they have compatible values and work styles? Can they be totally honest with each other? Do they have complementary skills? Do they agree about the exit plan? Big problems occur when fundamental fit is missing. Board Members: When forming the board of directors, entrepreneurs must determine the size of the board, the right balance between inside and outside directors, the working relationship between the board and management team, the frequency and length of board meetings, the number and type of board committees, the best person to serve as board chair, and board compensation. How engaged will the board be with the venture: will it be a passive, certifying, engaged, intervening, or operating board?4 At worst, a board can be a hassle and distraction, draining valuable time and injecting politics and turf wars into the venture. In many cases, a board is just a formality and does not add much value. At best, a board can be an invaluable asset to the venture, providing critical advice, mentoring, and oversight. Investors: Entrepreneurs should also probe for fundamental fit among possible investors. Entrepreneurs should expect that venture capitalists and angel investors will perform extensive due diligence on them before investing, but many entrepreneurs do not turn the tables and sufficiently scrutinize potential investors. Angel investor and venture capital deals typically come with aggressive return-on-investment (ROI) expectations that require lucrative and fast exits (via mergers or IPOs). Entrepreneurs must weigh their investor options carefully, lest they find people in critical positions of power who diverge with them on fundamental issues. What is their expected ROI and time horizon? How involved will they be with the venture, including board seats? What is their reputation? Do they share similar values and a common vision for the venture? Entrepreneurs are wise to consider the strings attached to investment deals. Customers: Some customers take advantage of startups, exaggerating their interest, delaying orders, or demanding extensive technical support and new bells and whistles. The best customers are early adopters willing to work with a startup, investing their own time and expertise to inform prototype and product development decisions. Not all startups have the luxury of being able to choose customers, but founders should recognize that not all customers are equal. Some come with heavy baggage and prohibitive costs. In some cases, entrepreneurs can reduce risk by diversifying their customer base, not becoming too dependent on a small number of customers. Vendors: Founders should also scrutinize potential vendors for fit. Many vendors, especially large ones, are unsympathetic to the tribulations of a startup. Do they understand the venture’s cash flow situation? Will they cut you off at a critical time when you most need components? Will they ship you second-rate material or skimp on technical support? Founders are wise to choose critical vendors only after extensive screening, then establish deep, open, and mutually beneficial relationships. They should outline what each party can expect and set up periodic senior management check-ins between the organizations to ensure alignment of interests and effective processes. Startups that take vendors for granted may not live to regret it. Conscientious leadership practices can help entrepreneurs avoid that fate. Commit to create an organization that is built to last, not to flip. Purposefully shape a culture of character. Recruit for complementary skills and cultural fit, vetting your partners, employees, board members, customers, and vendors before working with them. Face up to it when you make bad hires. Make quick pivots. Passionately pursue your dream and make it reality. 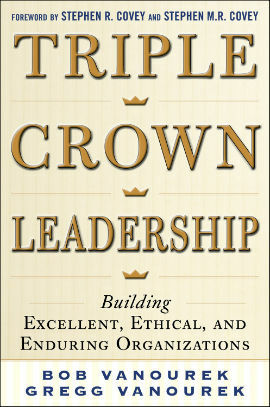 Gregg Vanourek, Bob Vanourek, Triple Crown Leadership, ©2012, McGraw-Hill Professional; reprinted with permission of the publisher. Follow both Bob and Gregg on Twitter @TripleCrownLead.